We take the German Beer Purity Law very seriously. We are very proud of the fact that all of our Zoigl beer has been recognized by the German Agricultural Society (DLG) and honored with three Gold Medals. 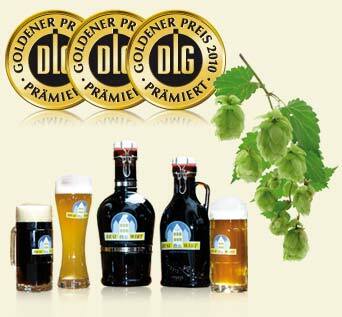 Why not try our home brew, only available at the BräuWirt in Weiden. We know you will be impressed.